It took 10 years, but Murphy miraculously created the most trans-centered TV show ever. Murphy talks to us about the journey and impact of Pose. History was made this summer when FX’s Pose premiered, featuring the largest cast of transgender actors in series regular roles on television. Starring MJ Rodriguez, Dominique Jackson, Indya Moore, Hailie Sahar, and Angelica Ross, the series was an instant hit and captured the hearts of viewers while also educating LGBTQ youth about their community’s past. 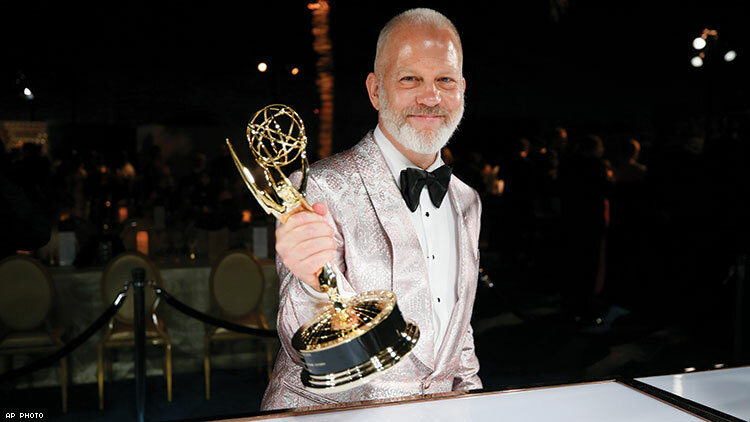 Setting the show in 1980s New York City, co-creators Ryan Murphy, Brad Falchuk, and Steven Canals beautifully weave together HIV-positive stories in the trans and ballroom communities. Trans icons Janet Mock and Our Lady J also serve as writers and producers. But creating a TV dance musical about trans people living with HIV didn’t happen overnight. According to Murphy, it was 10 years in the making. Through various subplots and characters — including married couple Stan and Patty Bowes (Evan Peters and Kate Mara), and Matt (James Van Der Beek), a coked-up boss at the Trump Organization — Murphy’s goal was not only to center trans stories, but to humanize their experiences, while also introducing the impacts of the AIDS crisis to younger generations who might be seeing it for the first time. Murphy has continuously strived to highlight LGBTQ storylines in his projects from Nip/Tuck to Pose. TV executives are now fully supportive of his endeavors, but he admits it wasn’t always the case.